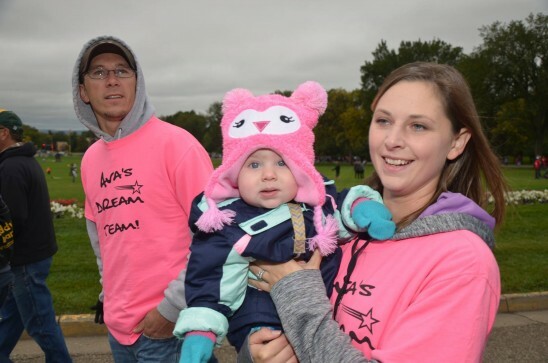 Join with others in supporting Down syndrome awareness by taking part in Bismarck’s annual Designer Genes Walk for Awareness on Saturday, September 28, 2019 at the State Capitol in Bismarck. Registration and entertainment will begin at 10:00 a.m., with the approximately 1-mile walk kicking off at 11 a.m. Pre-registration is not necessary and no registration fees are collected from walkers. Donations are welcome to help support Down syndrome awareness and Designer Genes’ work across the state. WHAT: Down syndrome awareness walks were developed by the National Down Syndrome Society (NDSS) in 1995 to promote acceptance and inclusion of all people with Down syndrome. This year the Designer Genes Walk for Awareness will be one of many walks scheduled from mid-September through November, with more than 250,000 people expected to participate. WHEN: Saturday, September 28, 2019. 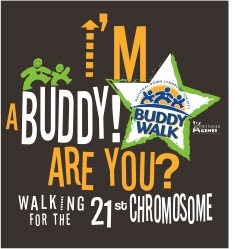 Registration and entertainment begins at 10 a.m., with the walk beginning at 11 a.m.
WHO: Participants include people with Down syndrome from around the state, their families, friends, teachers, coworkers and other supporters. The general public is encouraged to attend and show their support for people of all abilities. BACKGROUND: Designer Genes does not focus on fundraising during the walk, however, last year alone, walks nationwide raised more than $10.5 million to benefit national education, research and advocacy initiatives, as well as local programs and services. All funds raised through the Designer Genes Walk support both local and national programs.